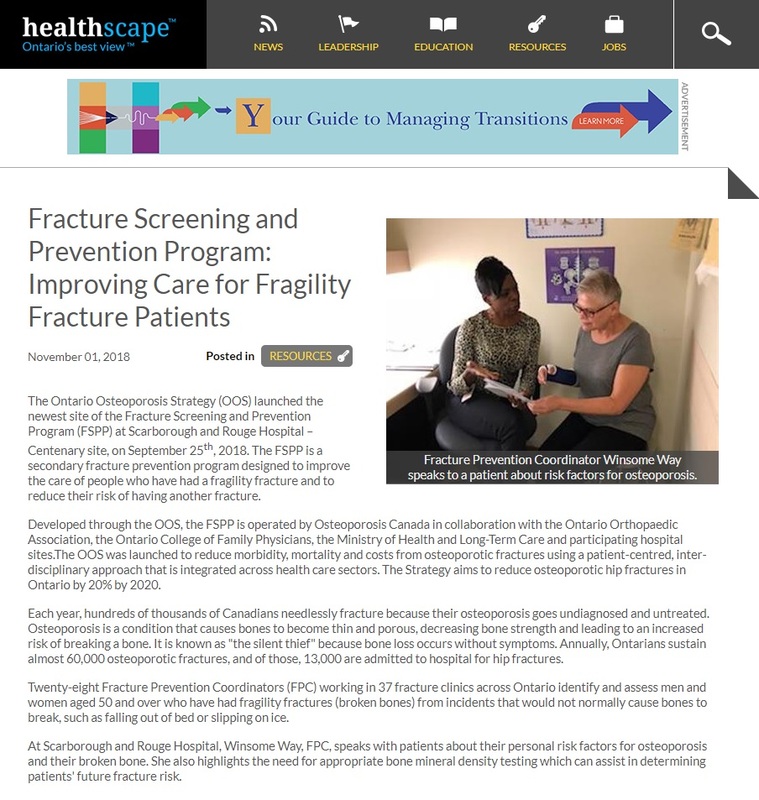 At least 1 in 3 women and 1 in 5 men will suffer a fragility fracture in their lifetime and with Ontario’s aging population, these numbers are likely to increase drastically. 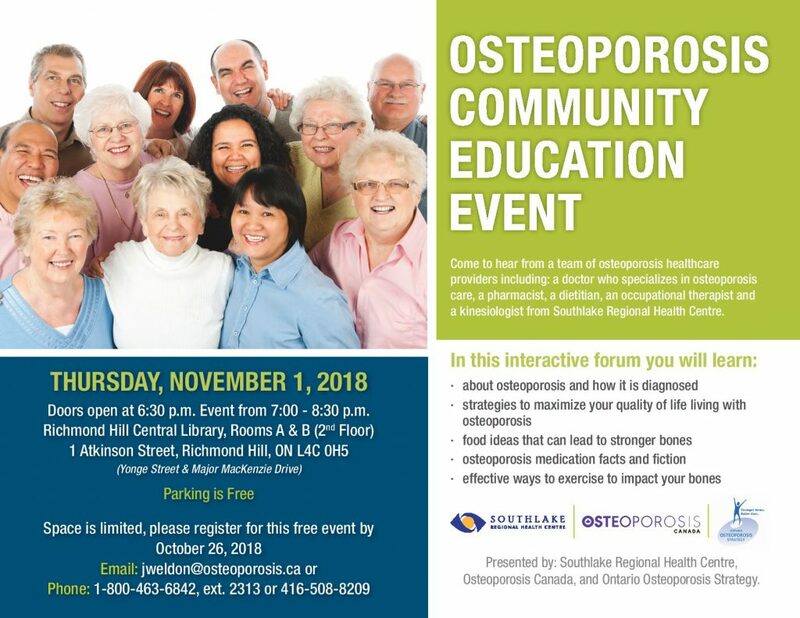 Do you want to improve your confidence in screening, diagnosing, and optimizing care for patients with osteoporosis, including those with moderate risk? 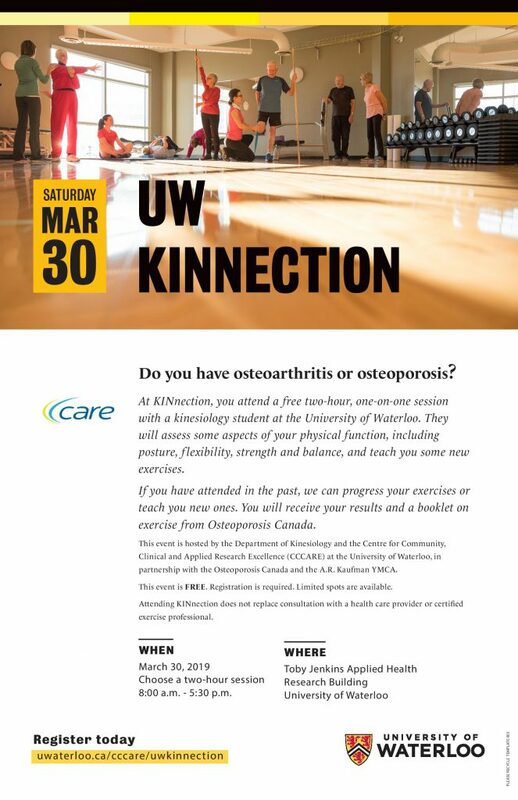 Do you have osteoarthritis or osteoporosis? 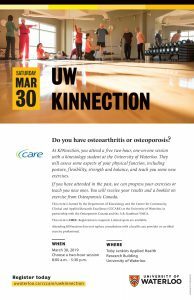 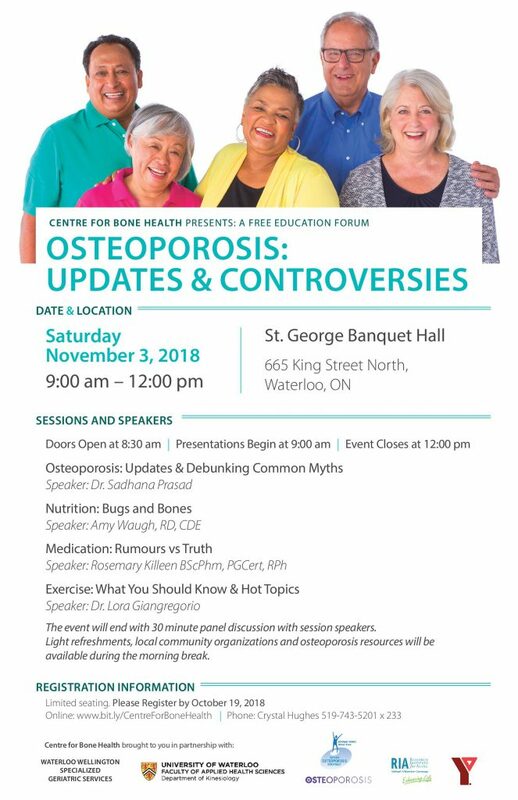 Or just want to learn more about bone health? 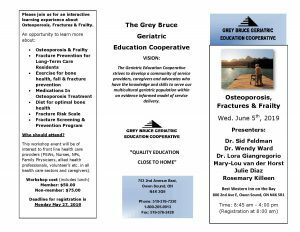 Fractures are a serious health concern for older adults living in long-term care (LTC) and cost $1.03 billion annually in Canada. 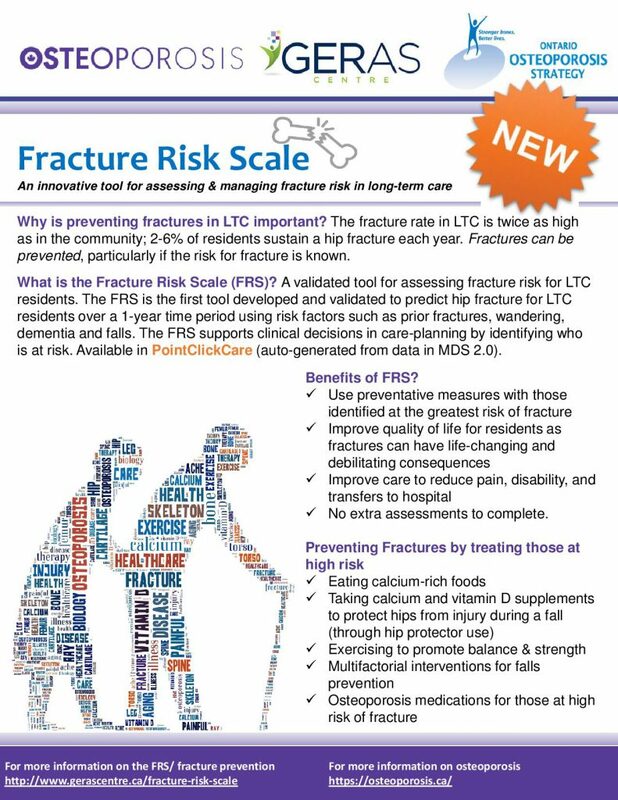 Research shows 45% of LTC residents are at high risk for fractures. 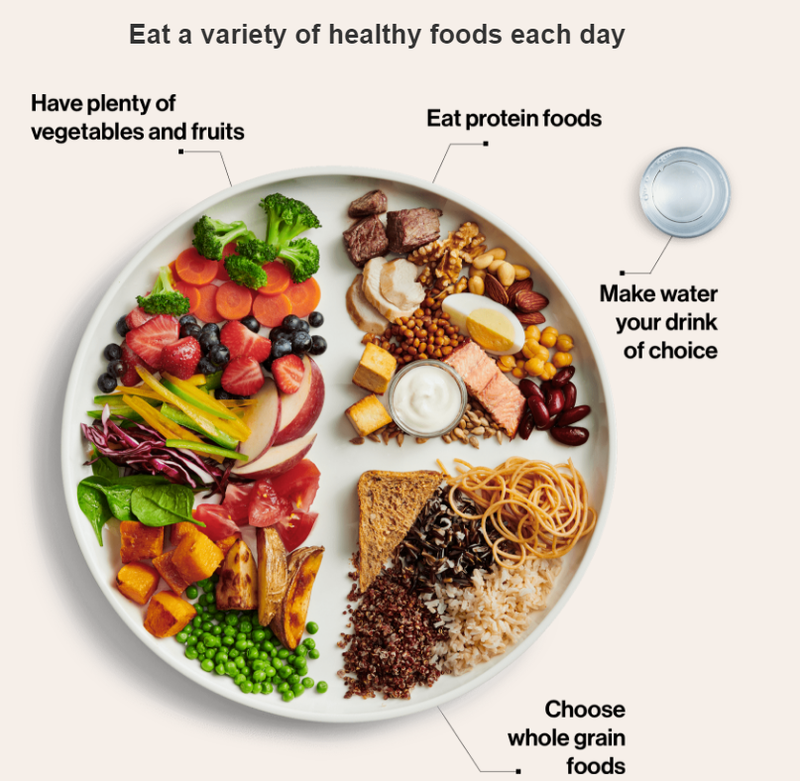 Canada’s new Food Guide, released on January 22, is a modern approach to promoting healthy eating, making healthier eating choices easier for all Canadians. 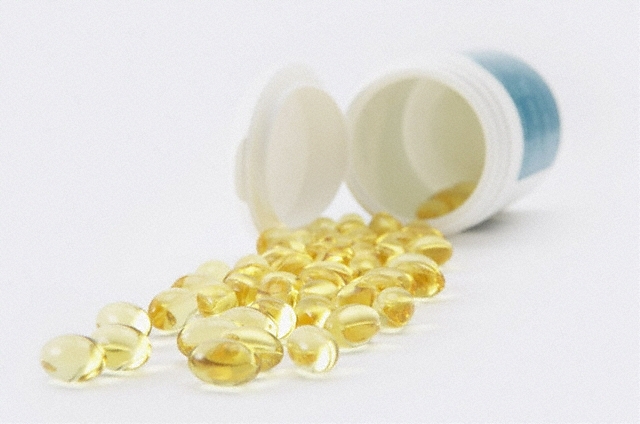 This new food guide focuses on what to eat and how to eat. 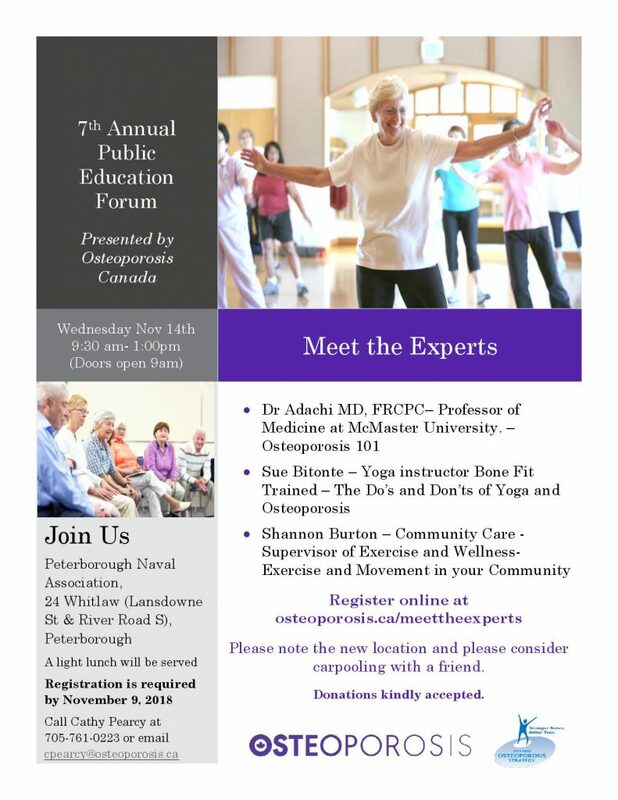 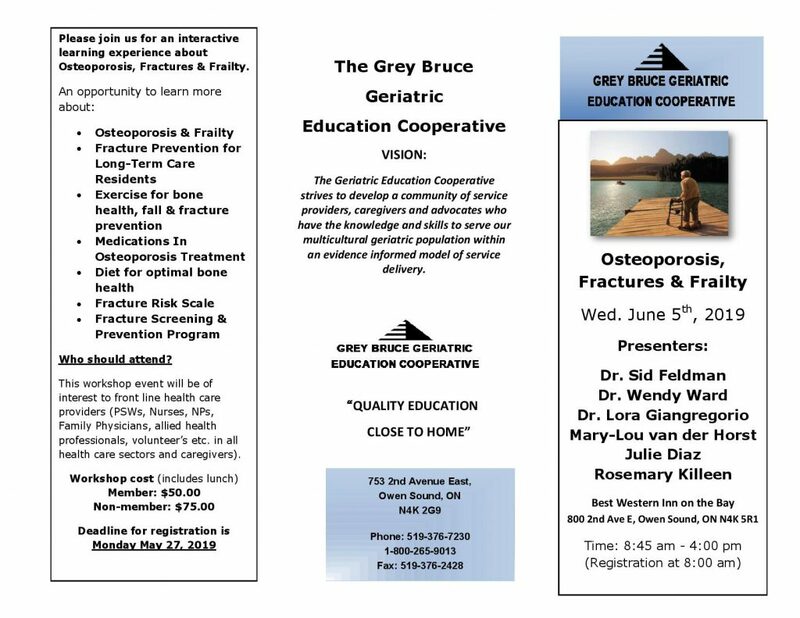 Osteoporosis Canada brings you ‘Meet the Experts’ a 7th annual public education forum on osteoporosis in Peterborough on Wednesday, November 14 from 9:30 am to 1 pm.